Exit Piccadilly Circus Station and walk towards Eros. Cross over to the far side of the street. Take Glasshouse Street with the Illuminated signs to your right. Take the first right onto Sherwood Street and the theatre is just up the road on your right. This is approximately a 2 minute walk. 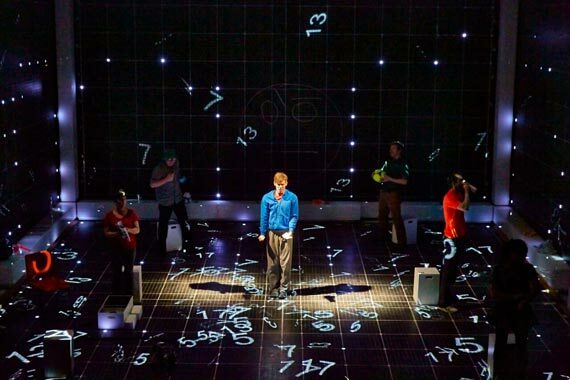 Based on Mark Haddon's award winning novel, The Curious Incident of the Dog in the Night Time is a magical and moving production. 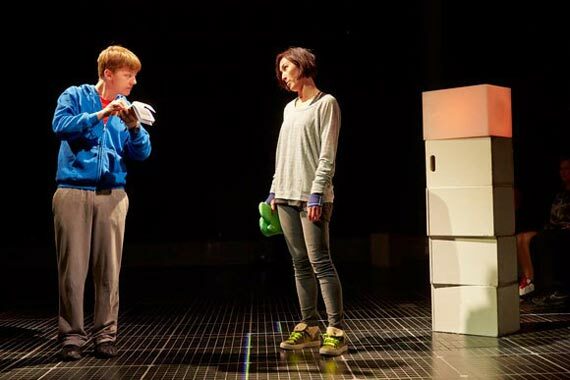 It depicts the story of Christopher a self-described "mathematician with some behavioural difficulties" who discovers Mrs Shears' dead dog. The dog has been speared with a garden fork. This turn of events takes place at seven minutes past midnight and Christopher is quick to come under suspicion. Christopher sets out to solve the mystery of who murdered Wellington and conducts his investigation by recording each fact in the murder mystery novel which he is writing. Christopher is a young boy with an extraordinary brain but is limited by his fears and difficulty interpreting everyday life. He has never ventured alone beyond the end of the road, he detests being touched and he distrusts strangers. But now his detective work, forbidden by his father, takes him on a frightening journey that turns his whole world upside down. Prepare to see the world through a different set of eyes as you follow Christopher in his attempts to overcome different obstacles in a bid to solve the mystery of who killed Wellington. His journey will captivate both your heart and mind as shocking secrets and discoveries are uncovered along the way. 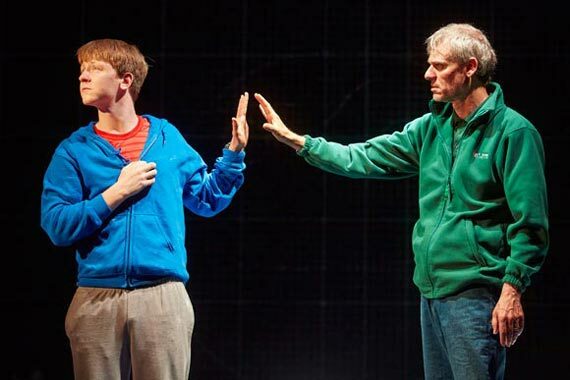 The production is based on the award winning novel written by Mark Haddon and is brought to life in the stage adaptation by Simon Stephens and director Marianne Elliott. 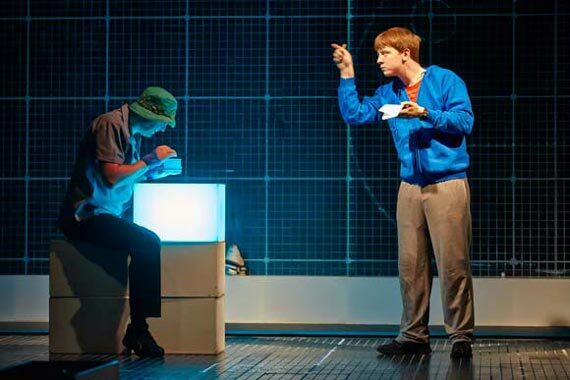 The show premiered at the Royal National Theatre in London on the 2nd August 2012 and has been broadcast to cinemas worldwide. Since 2014 the production has been held at the Gielgud Theatre in London's West End.The show premiered in Broadway at the Ethel Barrymore Theatre on the 5th October 2014. This show has even been adapted and translated into Spanish, being performed at the Teatro de los Insurgentes in Mexico City in June 2014. Hotel Direct makes life easy with theatre break packages which encompass a large selection of popular West End shows and conveniently located hotels. Our London theatre breaks will ensure everything is organised for your trip away, even including pre-theatre dinner options. With savings of up to 75%, book your break today. The idea for The Curious Incident of the Dog in the Night-time came from an image of a dead poodle with a gardening tool sticking out of it that randomly popped into Mark Haddon's mind. He found it darkly humorous, so he began writing a story about it. "Having enjoyed the book I was not sure how well it would work on stage. It was brilliant. The set, especially the walls were fabulous and the simplicity of the props combined with excellent acting from all the cast combined to make this a very thought provoking yet funny show,"
"Very enjoyable and close to the novel. The use of sound and lighting to portray Christopher `a experience was very engaging." "We were enthralled throughout. Amazing use of stage too." "Very good show done very well. Definitely a matter of taste though, as my husband was not a great fan." "Amazing show, fantastic performance by a superb ensemble cast. Technically brilliant and included some breathtaking physical theatre. Can you tell I enjoyed it?" 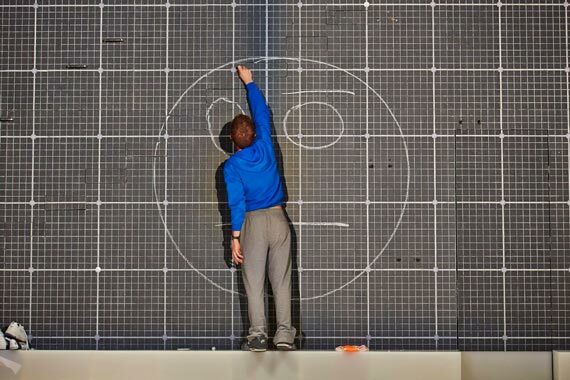 The Curious Incident of the Dog in the Night-Time Rating:	95%	out of	100	based on	66	reviews.